Rising Canadian talent Conro is quickly becoming one of the most talked about up-and-coming figures within the Dance music community. 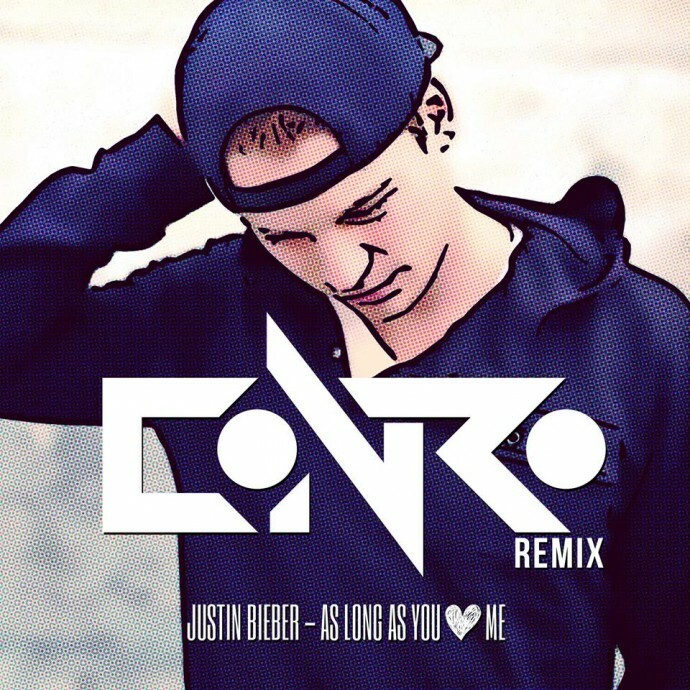 Following a string of smashing projects, Conro is now back again with his latest offering – a spectacular remix of Justin Bieber’s ‘As Long As You Love Me’. Coming from a musical background, Conor Patton, aka Conro, has started out playing a wide range of instruments, later turning to the world of Electronic music, reaching his first big break with his debut single ‘Axiom’ – rapidly climbing Beatport’s ‘Electro House Top 20’ chart. Such impressive results have placed Conro on the radar of some of the globe’s major imprints, later signing tunes to the likes of: Armada, Revealed and WOLV. Since then, Conro has not fallen short of receiving massive support from some of the finest spinners around, landing the thumbs up from DJs like: Porter Robinson, Tommy Trash and Knife Party, whilst sharing the stage with A-list champions such as: Bassjackers, Dyro and Wolfgang Gartner. After gaining worldwide recognition with his Dyro collaboration on ‘Bittersweet’, Conro’s 2016 kicked off with a colossal project by the name of ‘On My Way Up’, released via Monstercat, hitting the US Viral Top 50 chart on Spotify and supported by global superstar Martin Garrix. He is now devising his next big thing – taking a first shot with his new wonder ‘As Long As You Love Me Remix’, which he’s offering as a Valentine’s Day giveaway. Conro’s rendition on Justin Bieber’s track is blessed with an array of top-notch melodic inspirations, whilst blending in deeper rhythmic elements to darken the atmosphere and add Conro’s signature take on this production. The effect-filled vocals take the remix to whole new level, adding spice and giving it the inimitable Conro touch, who’s put his signature on this world-class remix. With such a remarkable effort Conro is certainly justifying his unstoppable ascension as one of the prime names to watch out for in 2016. Whilst you can now download and enjoy Conro’s stellar remix of ‘As Long As You Love Me’, keep an eye out for more exciting announcements, with his second single of the year coming up in March. Win tickets to the mau5trap London Warehouse Party!!! Win Dave Clark Fabric 60!